These testimonials and more can be found on our page on the TripAdvisor website. 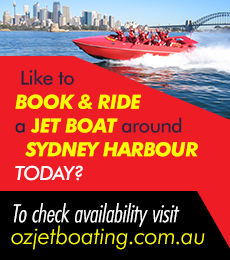 If you’re a customer of Sydney Jet and would like to write your own review simply click on the big green buton below.
" I liked it…a LOT! " Nothing I have ever done in my life compares to the Jet Boat experience! The staff were fantastic, helpful from when we arrived at the location till we got off the boat at the end of the ride. The ride was amazing, speeding around the harbour getting soaked. The feeling of the boat spinning can’t be beaten by anything. I don’t think I have ever been so wet in my life! The boat is amazing, the speakers are awesome and the photos were hilarious that were taken out on the ride. I would recommend this to anyone that is from Sydney or visiting!
" An Awesome Day Out "
" Best way to spend 30mins "
This was great fun. Did this as part of the attraction pass. 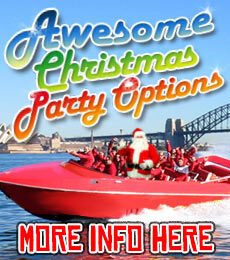 One of the best things to do in Sydney Harbour. You will get completely soaked, no little sprinkling of water, be prepared to be saturated from head to toe – you’re given plastic macs with hoods but this is mainly to keep the chill off!! All loose items are locked away. Wish I’d had shorts on instead of a long skirt, but it didn’t take long to dry off. Really great fun and the staff were cheery, cheeky and professional. Wish I was there now! !